Updated, Dec. 25: Copy edit. Correction, 11:33 p.m.: Ordinance employees who have been given additional duties and corresponding pay raises are not eligible for 2.36 percent increase. Updated, 1:08 p.m.: Copy edit. 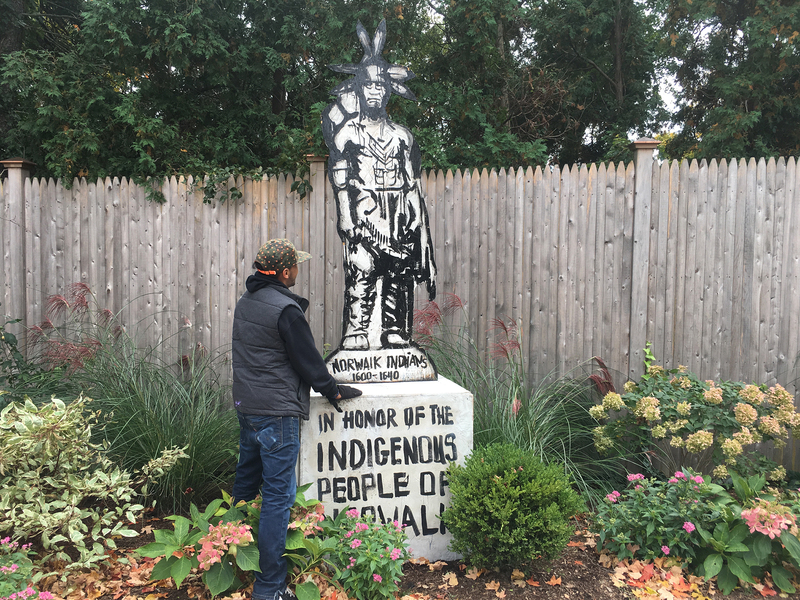 An artwork honoring Norwalk indigenous peoples was placed Monday next to the Norwalk Museum, in close proximity to City Hall. The statue-like work mysteriously turned up Oct 3, the Wednesday before Columbus Day, on a sliver of public land along West Avenue, adjacent to the Route 7 ramp. It was quickly removed by the Recreation and Parks Department and Mayor Harry Rilling announced that the move was not political, that he hoped the owner came forward to claim it. Turns out that an artist calling himself 5iveFingaz made the artwork. The Norwalk Historical Society recently gave its permission for the statue to be displayed on the museum’s grounds, Historical Society Board member David Westmoreland said. 5iveFingaz’ statement about the work will be posted in an interpretive panel to be hung next to the statue in a couple of weeks, Westmoreland said. The Native American fort was long rumored to have been important in Norwalk’s past was recently discovered by archaeologists hired by the Connecticut Department of Transportation in connection to the Walk Bridge project. Norwalk Public Schools has hired Tina Henckel to direct STEM (Science, Technology, Engineering and Math) education, according to a press release. The appointment was confirmed at last week’s Board of Education meeting. 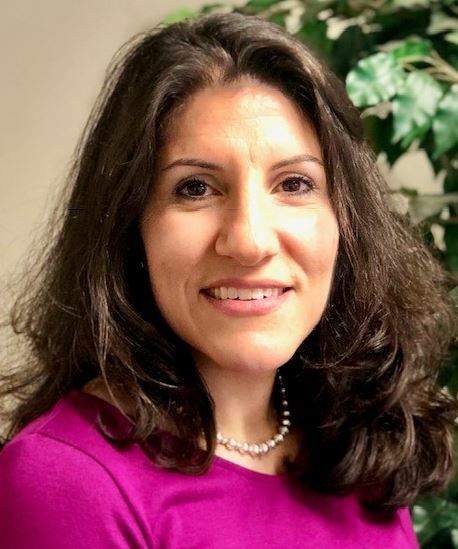 Henckel has been Shelton Public Schools assistant director of STEM and data management, and has prior experience as a supervisor of math and technology and as an interim principal, the release said. She has also taught math at Newtown and Ridgefield high schools. “Ms. Henckel is the vice president for the Cooperative Educational Services Leadership Institute and is affiliated with several professional associations including Learning & The Brain Society, Association for Supervision and Curriculum Development, and National Council of Teachers of Mathematics. Also in the City budget is a $50,000 bonus pool for Rilling to distribute at his discretion, up to 5 percent of an eligible employee’s salary, he wrote. Ordinance employees who were given a raise in the reorganization recently approved by the Council, will not be eligible for the 2.36 raise, Personnel Committee Chairwoman Barbara Smyth (D-At Large) said. This will be voted on at Tuesday’s Council meeting. Also set for a vote is a raise for Norwalk’s registrars of voters. That’s also 2.36 percent, but there’s a catch: a 2.36 raise is recommended to become effective on Jan. 1, and then another 2.36 percent raise is planned for July 1. After that, the Registrar’s salary will be increased on the same date and at the same rate as ordinance employee raises, Burney wrote. Democratic Registrar Stuart Wells in July asked the Personnel Committee for a raise, for himself and Republican Registrar Karen Doyle Lyons, saying that Registrars have more responsibilities than they used to, given the state-wide voter registration system and the state-wide system for reporting results, “all of which take a lot more effort on our part… and we have the Russians to worry about,” he said. 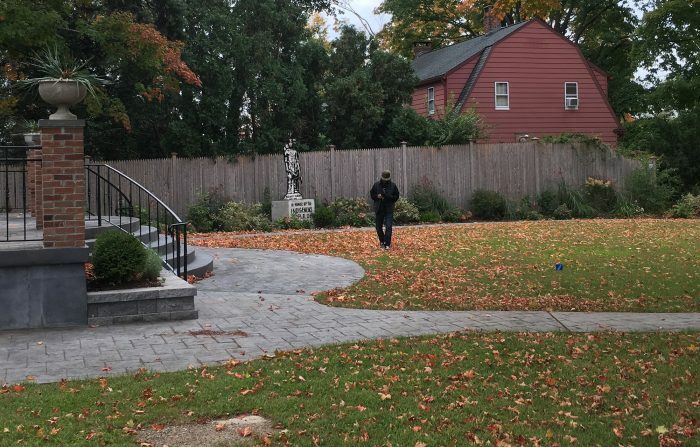 The Council on Tuesday is also set to vote on a $150,000 amendment to an existing contract, to allow CHM2 to being addressing Norwalk’s “most critical stormwater system issues” in the wake of three recent storms that created “wide-spread flooding of public and personal property,” in the words of Department of Public Works DPW Principal Engineer Lisa Burns. “In parallel paths, the City is doing in-house investigation and cleaning, preparing bid documents for dredging (anticipated for Common Council action in November 2018), and retaining an engineering firm to assist with stormwater system design,” Burns wrote. Rilling recently announced that he is seeking a $1 million special appropriation to deal with flooding issues. Details have not been provided regarding how the money would be spent. An existing Water Pollution Control Authority (WPCA) contract with CH2M Hill Engineers, Inc. for on-call services will be amended to include engineering services related to the City’ s stormwater system, including capacity evaluations, hydraulic analysis, and design services, Burns wrote, explaining that the WPCA had approved this because it’s the most expedient way to retain the engineering services needed. The Council is also set to authorize $24,100 for “a flyover of Norwalk for aerial photography at 3 inch resolution with obliques,” in the words used by Information Technology (IT) Director Karen DelVecchio in an Oct. 4 memo. The flyover would be done in the Spring when the trees are bare, and the results integrated into the City’s GIS platform and “made available to other departments who rely on spatial information, such as Zoning, Public Works and the Assessor,” she wrote. Planning Commission members recently complained, during a meeting, that the photography they were being shown was out of date. A Norwalk Public Library request for $75,000 in the 2018-19 capital budget was denied, but some rejiggering of funds will allow the purchase of a Mobile PopUp Library vehicle, Chief Financial Officer Barron wrote to the Council on Sept. 28, explaining that two library capital projects are being closed to offset the expenditure. The vehicle will allow the Library to “enhance its youth outreach capability during the summer months in support of the Board of Education’s emphasis on mitigating the ‘Summer Slide’ and the Mayor’s office initiative on expanding STEM activities in city-sponsored summer programming,” he wrote. Thanks to the Historical Society and Norwalk High graduate 5Fingaz for this worthy contribution to Norwalk’s history and public art. FYI the “sliver of public land along West Avenue adjacent to the Route 7 ramp” has a marker dedicating the space to the late Bill Peters, a founder of Norwalk Green & Clean. Those who approved/funded this memorial share responsibility for maintaining the legacy by reminding the community about the story behind the name. Then some years ago SoNo mural artist Brec Morgan (Donovans, etc.) worked with others to create a sculpture park at this location. Recommending a $50k bonus without identification of merit specifics for high paid City Administrators once again illustrates the consequences of electing Mayor’s without business experience or knowledge of modern business management skills. It’s an old story in Norwalk and helps explain our decade long stagnant Grand List, very small business sector, punitive tax levels and exodus of long time homeowners. But why complain ? The Council endorsed a $46k salary hike for the Mayor’s assistant getting a new job title as our “Chief of Staff” without the usual credentials. Residents pay attention. More so the business community that continues to avoid investing in Norwalk (other than apartment Developers). But why just $50k ? Why not a $100k. And why not boost the Mayor’s salary also. At $150k he’s in step with our Governor. Surely Norwalk’s Mayor deserves a raise. Council members too. Lets reward “good works”. If its really true as City Hall claims that Norwalk is indeed “CT’s Greatest City” then raises all around. GIS Mapping Photography has been widely used by communities concerned with addressing storm surge and flooding issues and recommending preventive measures. So far City Hall seems uninterested in studying Hurricane Barriers as used in Stamford and elsewhere with superb results. And beefing up shorelines to mitigate tidal flooding and major storm damage. But City hall did install an emergency generator. Schools and other major facilities are “on their on”. Isn’t there anyone on the Common Council interested in taking measures to mitigate damages from major storms ? The BOE’s efforts to beef up STEM offerings ought be commended. Public schools are lagging most everywhere in STEM offerings – the basic education for good jobs in the future. Even though Norwalk has no industry to speak of its encouraging that the BOE is leading the effort for greater STEM exposure. Lets hope more students will be encouraged to take science and math placements. Not much future for high school grads without STEM skills. Ditto college as well. Why all the quick and easy monetary increases for City Hall employees whose performances are less than stellar? Really? A bit frivolous, don’t ya think? Do some of these people really deserve a bonus and/or raise based upon what we have all been reading about them? Look around, Norwalk residents… the proof is in the pudding in terms of all that has NOT been improved upon on the watch of many of these salaried people. If anything, I would say bonuses and/or salary increases should be withheld from quite a few individuals this go round. Boy, are these folks quick to give each other increases for lackluster performance. I will say to these city workers who will be receiving compensation for “meh” performance, that this is not protocol in the corporate world, aka, the real world outside of the Norwalk City Hall bubble. Anyone at City Hall whose hands are in this beyond excusable, flat out shameful POKO I debacle and/or is not cracking down aggressively on stricter zoning enforcement and anti blight enforcement YESTERDAY, does not deserve a raise. Anyone who voted yes to throwing 15 million of taxpayers’ dollars at this imaginary Innovation District (which is happening organically anyway without City Hall and taxpayers’ 15 mill as we speak thanks to the passionate and invested business owners there) to incentivize more apartment building developers to clog up our city, our already maxed out roads and schools with more people, does not deserve a raise. Anyone who rush voted in this ridiculous (and ugly… aesthetically inappropriate bridge is far from iconic), waste of money, multi million dollar boondoggle bridge, does not deserve a raise. I could go on and on. Poor judgement and irresponsible decision making which hurts Norwalk residents rather than benefits them does not deserve reward. Let’s change this.